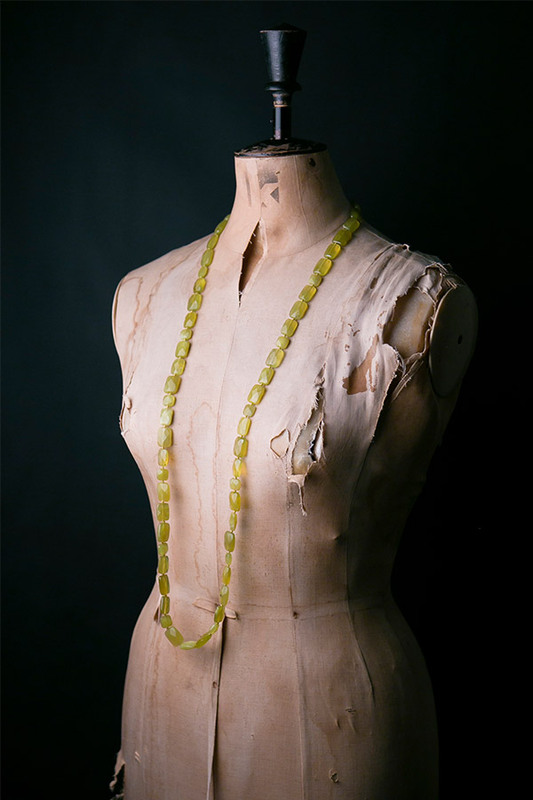 A striking long olive jade flapper, this is a beautiful and fashionable shade of green. 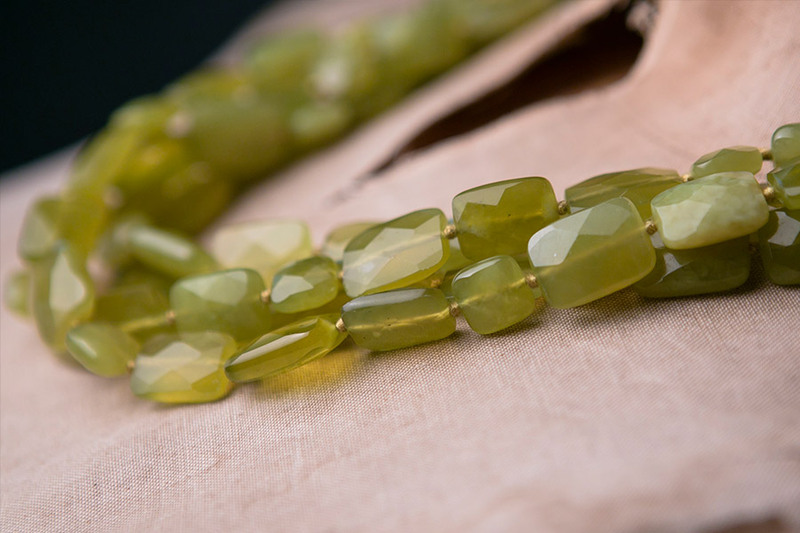 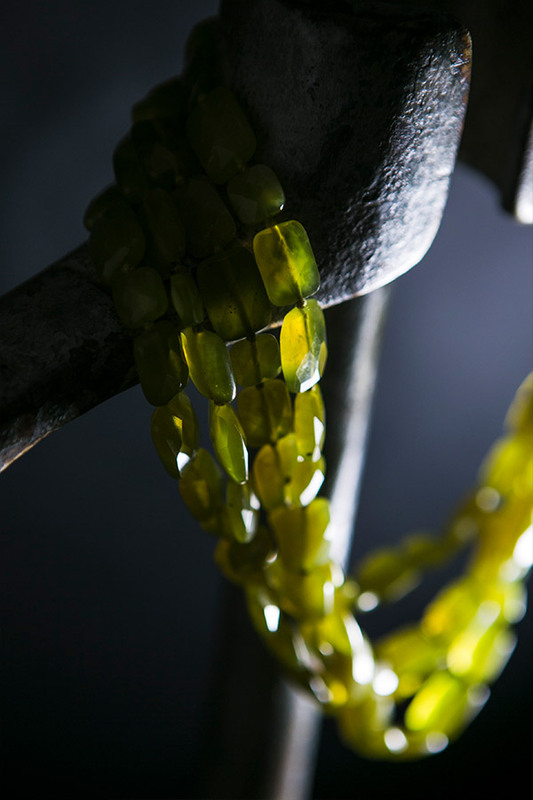 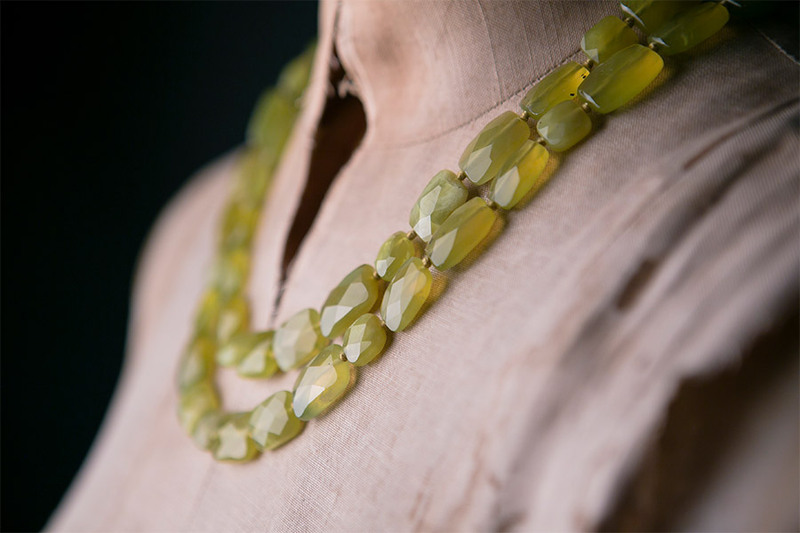 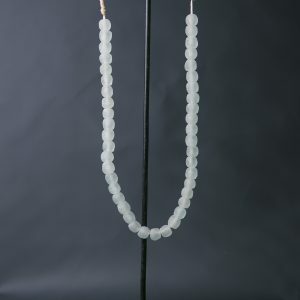 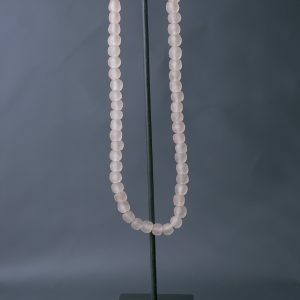 The translucent, faceted stones are serpentines, also called olive jade and hand-knotted. 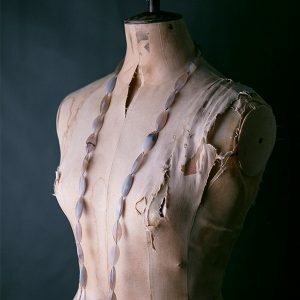 Wear the flapper long, doubled up or layered it with one more necklace. 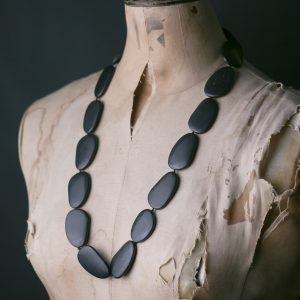 This is a great eye-catching piece!